Every yachting brand has that iconic model; the one that exemplifies everything they stand for, that is the benchmark that is always referred back to when building afresh, that is beloved by customers old and new. 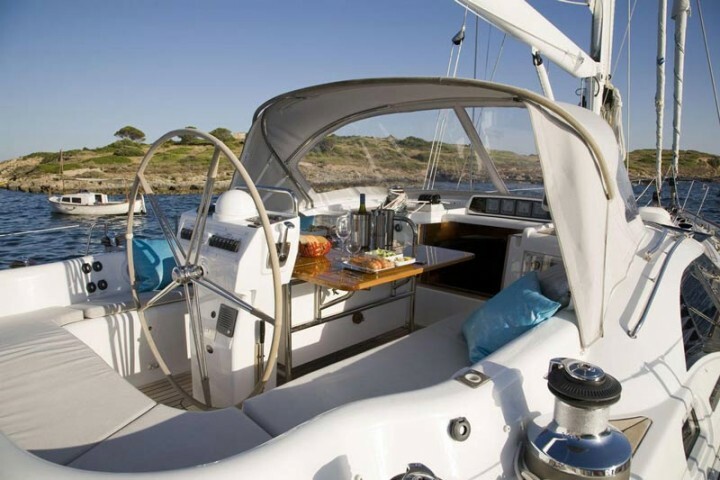 But in terms of bluewater sailing yachts, few boats are as iconic as the Oyster 56. Referred to as the vessel that made its manufacturer Oyster Yachts the leading shipyard it is today, the Oyster 56 is an extremely unique yacht that set in stone everything it means to be an Oyster. Below, we look at how it became an icon. As much as many brands may repeat the mantra ‘listen to your customers’, few actually go as far as to build a product based exactly on what their clients want. However, this was how the Oyster 56 ocean-going yacht was born. In 1996, Oyster Yachts developed a questionnaire to get the answers to their most important question: if you could build you the perfect Oyster, what qualities would it have? What owners wanted was a more ergonomically designed cockpit - one which was actually shaped to fit someone sitting it, embodying the perfect space for relaxing and entertaining while keeping all the qualities of a serious seagoing yacht. So, Oyster Yachts worked with Loughborough University's Ergonomics department to create this deep centre protected cockpit, which today is Oyster’s trademark. 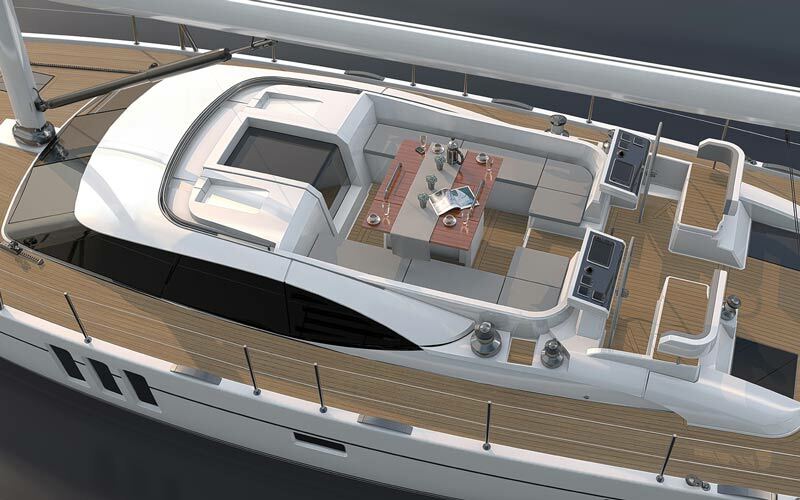 Getting more light below deck was also a key demand, and so Oyster brought an interior designer onboard for the first time to work on styling the saloon windows. As well as drastically improving the light, this also ensured the interior space was fully considered and designed to suit the boat owner’s every need and desire. Once built the model’s performance was tried and tested in countless races and always came out on top. The 56 model achieved class wins in the ARC as well as winning Cruising Class 1 at Antigua Sailing Week, beating a number of more serious racing competitors. Company CCO Paul Adamson has had personal experience of the Oyster 56’s capability, having sailed one around the world back in 2011. He said: “The first Oyster I skippered privately for an owner was the Oyster 56 – Hull Number 42, named Spellbound. And she was just such a beautiful boat to sail, just wonderful. You can basically steer them off your little finger. They are very easy to sail, but also absolutely solid, so safe, reliable, go anywhere yachts, which are still very much sought after.” Undoubtedly, this great experience on the Oyster 56 was what inspired Adamson’s love for the Oyster brand and why he is so passionate about his work in the company today. The company is also innovating for the modern owner using the same technique of asking customers what they want from their vessels. In fact, Adamson has taken this one step further, firmly believing that all Oyster owners are his partners in the business. “I’m a big believer in falling in love with your customers not your products. If you fall in love with your customer and find out exactly what they want, and then build your products to suit that, then you’ll win every time,” said Adamson. In total, Oyster built 75 of the 56 model between 1998 and 2010, making the Oyster 56 the company’s most successful model to date. And no wonder really, given its reign as the quintessential Oyster has lasted until well into the model’s status as a heritage boat. Even today, talk of an Oyster 56 for sale gets a significant stir of market interest. 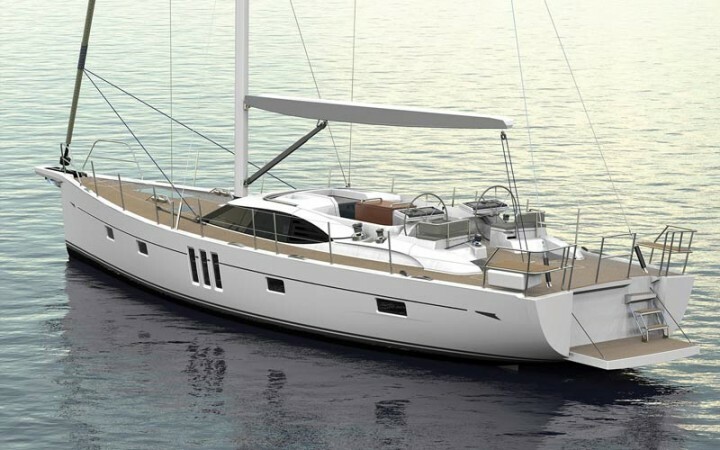 With 60% of new Oyster sales coming from existing owners, it’s likely that many of today’s buyers cut their teeth on the illustrious 56 before stepping up throughout the range as their needs changed. However, what hasn’t changed their love for Oyster yachts, forged by this one iconic model.